Many companies deal with knock-offs, fakes or plain old piracy. For almost any high priced item, you can be sure to find a second hand market and a black market of fake goods. To make matters even worse, even when counterfeit products are being made, there always seems to be another competitor ready to copy and slightly modify the original to sell as a competing brand like Adidas. If you are an executive in management, developing well designed products in your company, how do you protect yourself against all this? Well, you just might not be able to stop it. But, that does not mean you should not launch a product or distribute it world wide. In business, preparation always wins over fear of competition. To beat the competition, you will have to prepare and ensure that you can compete for the most market share possible. Firstly, Adidas differentiates their key products with minor details that are hard to copy. This is a wise tactic so that customers and companies can tell they are getting the original merchandise. Next, they use consistent business packaging to deliver their products. If you have read our post on box manufacturers, you will know that custom packaging makes a big difference. Lastly, the company works hard to keep coming out with the latest, top quality and high performance products for their customers. Fake Adidas are easily spotted by their loyal customers because the brand has made a point to educate consumers on how to tell counterfeit products from real ones. All businesses should take similar precautions to prevent counterfeits. Team collaboration is essential when it comes to protecting intellectual property. Educate consumers about the differences between your real products and counterfeits. It is rare that consumers purposely buy knock offs. Teach them how to tell knock offs from the real thing. This is sure to give a boost to your counterfeit prevention strategies. Since Adidas works hard to maintain their products, their copying competition will have a hard time keeping up in a forced ranking. The imitators will always be one step behind (at least). Furthermore, Adidas will have a better chance of serving more customers by focusing on what they do best rather than trying to stop everyone else from copying them because they can not be Adidas anyways. This is an important lesson for anyone who is building a brand or in strategic management for any industry. Stay focused on your goals and let preparation always win over the fear of lesser competition. Another interesting thing to note about the incredibly overwhelming amount of Adidas imitators? People are making money off of it. And no, not just the vendor management people producing the phony products. 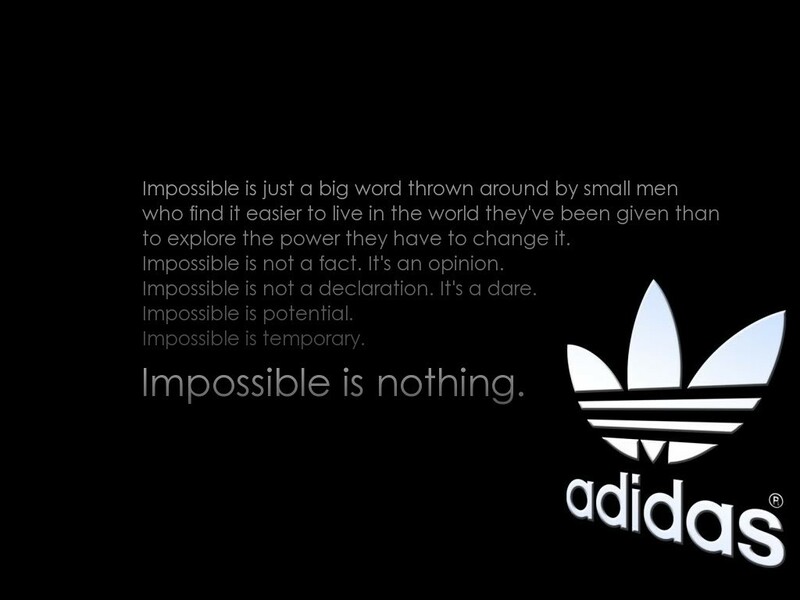 Websites have cropped up all over the internet dedicated entirely to spotting imitation Adidas. What can you learn from this as an entrepreneur? Everything is a business opportunity! Some savvy mind noticed that their were plenty of Adidas knock offs out there and was innovative enough to put a different spin on it to create additional income for him or herself. The entrepreneurial spirit this displayed is inspiring! Learn from these innovative individuals and remember, even designer knock offs present business opportunities, if you are clever enough to think of them.